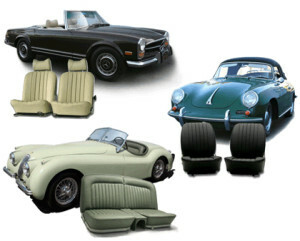 We are a full service interior restoration shop. For those who are not local to us, you may send component parts for us to re-upholster. We are just as proud of our reputation as our clients are of their cars. The quality of work we put in is a direct result of the passion we have on every vehicle because every vehicle is treated as if they were our own. Feel free to take a look at our price list below.